The pressure cooker is made from first-class 18/10 stainless steel and very durable plastic. Easy to handle lid is opened using only one hand. 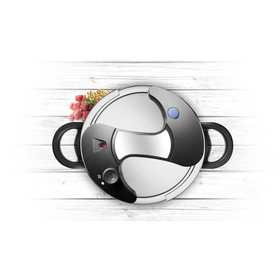 Using the pressure control it is possible to delicately prepare delicious meals very quickly. 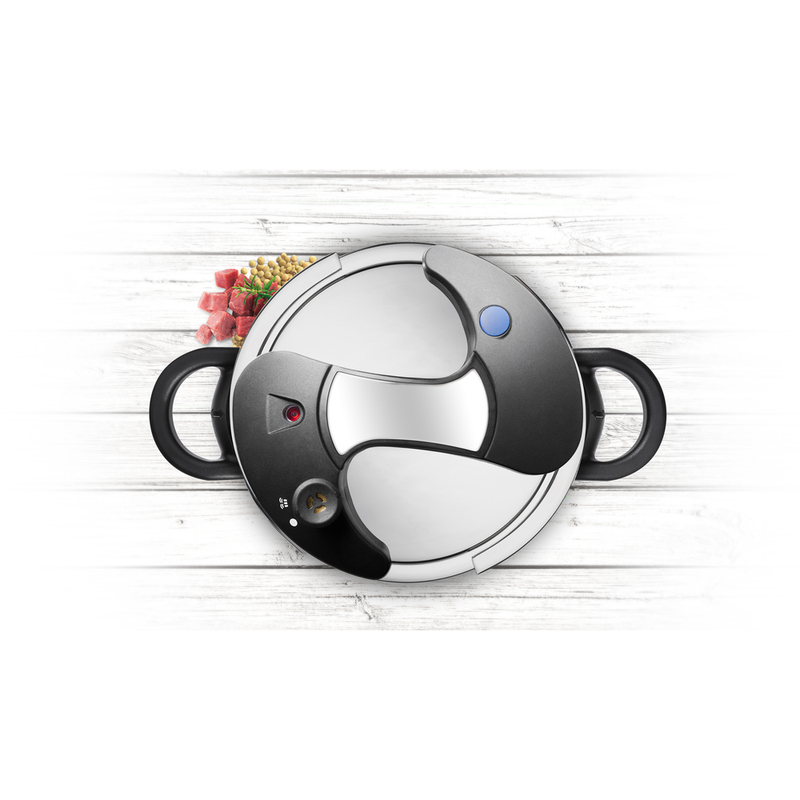 The pressure cooker is equipped with a pressure gauge, a dual safety valve, an overpressure safety plug and massive handles for easy handling that do not burn you. 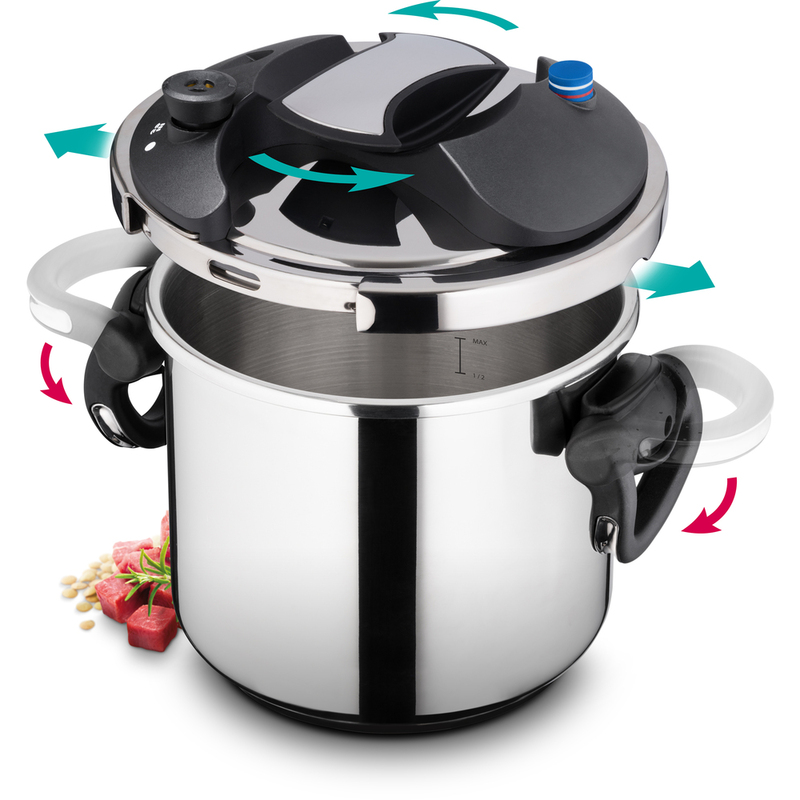 This designer pressure cooker with its sandwich base is designed to be used on all stove types including induction stoves.